The timing of electrical emergencies is governed by ‘Sod’s Law’. In other words, they will appear at exactly the wrong moment! They can sometimes be quite worrying – smoke from a fusebox or burning smells from a lamp fitting or electrical socket for example. At times like that, you need a reliable and trustworthy emergency electrician on your doorstep in Purley. Lucky you! 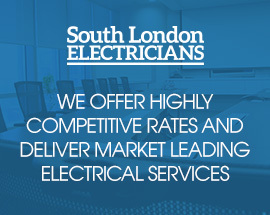 South London Electricians cover the whole of London, but are based south of the river meaning that an emergency electrician can be at your Purley home in a very short time. Calling us means that waiting for hours for a qualified electrician to arrive is a thing of the past. Make a note of our number now (it’s 0208 406 9834). Whether you contact us to find an emergency electrician in Purley or simply someone to give you a quote for other part P certified electrical work, you will ALWAYS speak directly to an electrician. You benefit from immediate help and advice, without needing to wait for a receptionist to pass on a message. It also means that there will be no ‘Chinese whispers’ effect – your description of your electrical emergency will be given directly to a professionally trained and fully qualified electrician. South London Electricians carry thousands of electrical parts plus cables in their vans. This means that we can solve most urgent electrical problems with a single visit, getting your electricity back up and running faster. Moreover, half of our vans are electric which means that we can arrive at some anti-social hour without disturbing your neighbours with a loud, noisy vehicle. Perfect if you live in a quiet residential area of Purley. Three of the most common signs that you have an emergency electrical situation are a tripping fusebox, burning smells and loose or sparking wires. OK, fuses can trip at any time but if yours is tripping out frequently or proving impossible to reset after tripping, then you need an emergency electrician. 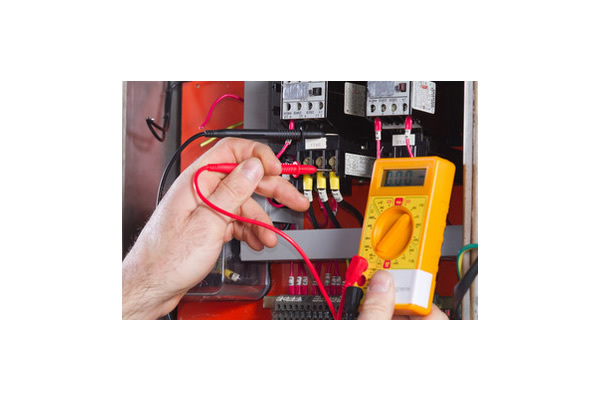 Our electricians carry with them state-of-the-art diagnostic equipment and will be able to quickly identify the cause of the problem. It probably doesn’t take an electrician to identify the source of a burning smell or loose and sparking wires! Your first step should be to switch off the electricity and then call South London Electricians emergency service on 0208 406 9834. Our friendly and professional staff are available on a 24 hour basis, every day of the year, to assist and advise you with your home or commercial emergency electrical situation or urgent maintenance issue. We are also listed on Checkatrade.